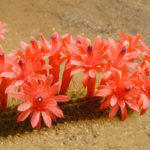 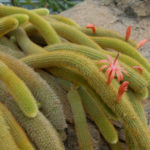 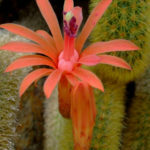 Cleistocactus winteri is a branching cactus with spreading, arching, pendant, or trailing stem that can grow up to 40 inches (1 m) long and up to 1 inch (2.5 cm) wide. 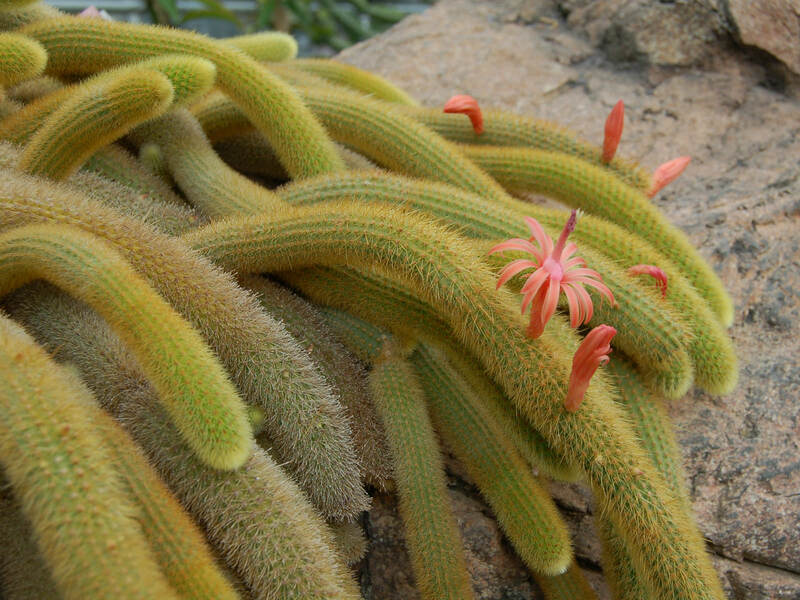 It has many short bristly golden spines that literally cover the surface of the stems. 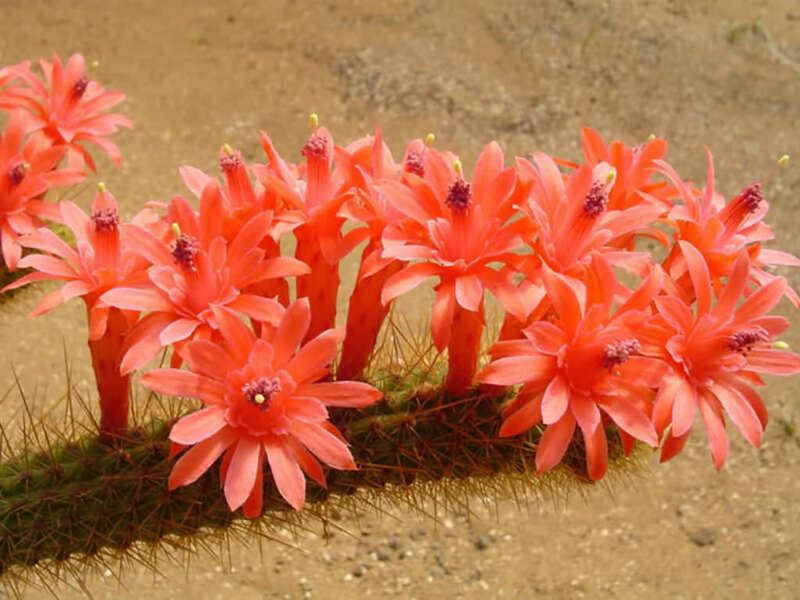 Flowers are vivid orange to salmon-pink, up to 2.4 inches (6 cm) long, up to 2 inches (5 cm) across and very showy. 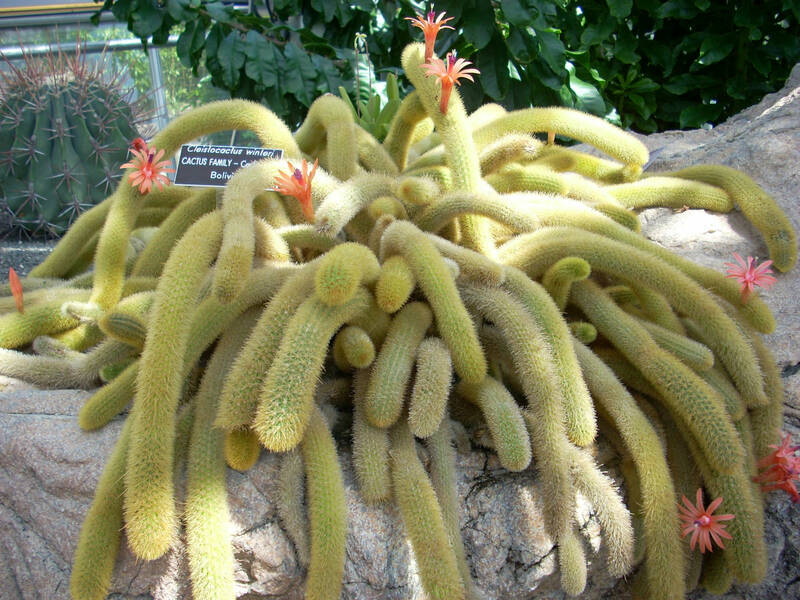 They are repetitively and freely produced on mature plants in spring and summer and can last for several days. 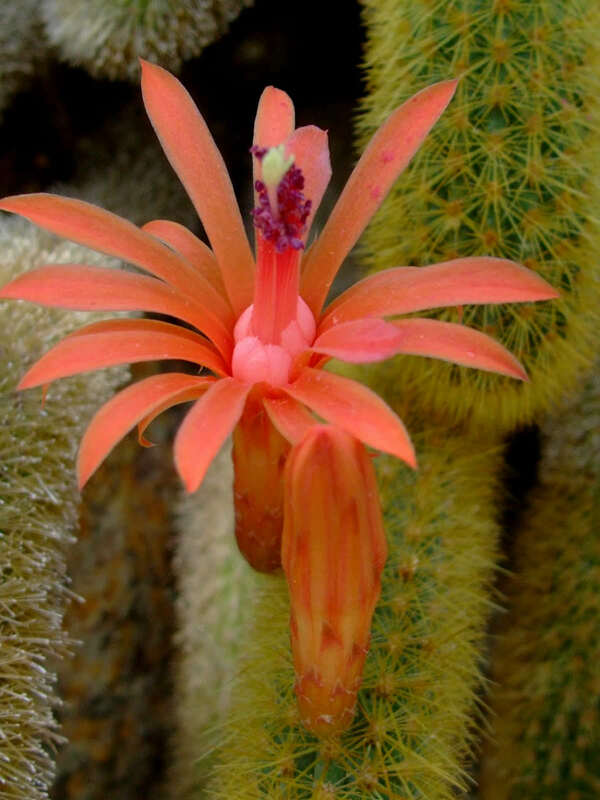 Endemic to Bolivia (Santa Cruz).